What is fertility massage? A podcast with an expert! Fertility massage may help increase fertility and reproductive health by putting the reproductive organs into proper alignment as well as increase blood flow. It’s a form of massage that works directly with the abdomen of women and often times called Mayan abdominal massage, and therapists who work with this particular massage technique also claim that it helps to break up adhesions from endometriosis. 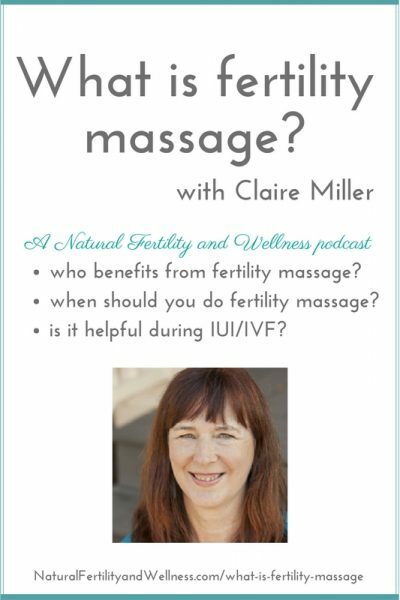 Back when I was writing my book I had the chance to talk to Claire Miller from ClaireMarieMiller.com to talk to us about fertility massage, what it is, and how it works. Below is the full podcast as well as the summarized version. Fertility massage is a certain protocol that I teach students where you are doing things that will enhance the fertility in terms of aligning the body, cleansing the colon, increasing circulation to the pelvis, and using reflexology to support the endocrine system as well as the reproductive system. It has a whole flow to it that honors the body, the emotions, and the spirit all together. Who would benefit from receiving fertility massage? I get a lot of women who have waited to have kids. A lot of them are in their late 30s and early 40s. But I think anyone would benefit. 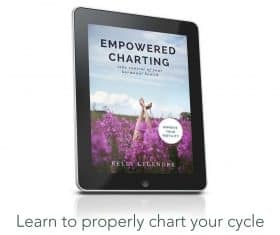 You could be in your 20s and thinking now you are ready to start your family and you would like to be cleansed and tuned up and in your center. I work with both males and females. It really benefits anybody. I’ve worked with a lady who had an IUI (intrauterine insemination), and she conceived right after I worked on her. I’ve worked with ladies who have done IVF (in vitro fertilization) who have conceived as well. Primarily I start working with them before they go to the fertility clinic. They are either hesitating or not wanting to go that route or would like to try something else before going down that road. Any massage tunes you into your body. All of us, even massage therapists get on the table and realize, I didn’t know I was tight there or had something going on there. So it really does tune you in to what is going on, where you hold tension. Digestion is a big part of it. It also relaxes the person. Letting go of stress, alone, is a great benefit to conceiving. If you are under a great deal of stress, it throws your hormones off. You’re less likely to conceive. You see that often when people go on vacation or there is a snow storm and you can’t go anywhere. People make babies. It’s a relaxation effect as well as the cleansing effect as well as tuning in to your body. When do you do fertility massage to benefit IUI or IVF? It would be done before treatments. Its to clear the digestive system, increase circulation to the pelvic area, and open up and balance where the uterus is for the ladies. I also use castor oil quite a bit, which is very cleansing to the body. It breaks up adhesions and dissolves cysts and fibroids and has a whole bunch of wonderful benefits. There’s a really good book called, The Oil That Heals by Dr. William McGarey. I’m a big believer in castor oil. I’ve even seen it increase sperm count. It would be good for both parties before either IUI or in vitro. After the procedure you could do energy work, basically because the baby is now implanting. We don’t mess with the abdomen really until the second trimester. I’ll do some light massage on the arms and the legs, relaxing things, but none of the deep work that I would do at the end of the pregnancy. Would that be the same when you are trying to conceive naturally? Yes, and actually I will ask my clients that when they come. I say, are you actively trying to conceive? We schedule their session between the last day of menstruation and up to when they are about to ovulate. What I have found is that they tend to get pregnant if I get them a day or two before ovulation. I have a really good success rate with them conceiving on that ovulation. How often would someone get fertility massage done? Most of the people I am seeing come once a month. 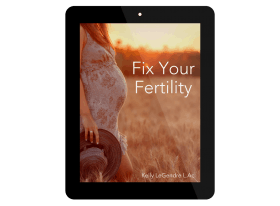 You could have a couple of sessions if you really feel like you need to get tuned up and you are not actively trying to conceive within a month. Once they are actively trying to conceive, they could get as many as two or three right before ovulation. Not everybody has the time or money for that. Most of my clients come just once a month and that is really affordable. What can couples expect during a session? Most of it’s very relaxing. I use aromatherapy oils and castor oil packs on their belly, because it is very warming and soothing. I do shiatsu on the back, which is working the acupressure meridian points down the back. The first session takes at least an hour and a half because I am also getting to know them. After that it is usually about a 75 minute session. Where might someone be able to find a massage therapist that offers fertility massage? They can go to my website at ClaireMarieMiller.com. In the menu bar, there is a link to Find a Therapist. Click on that link and then select fertility massage as the therapist type and enter your postal code. Can fertility massage be used along with other natural alternative therapies like acupuncture and herbal treatments? Absolutely. I network with acupuncturists, a local herbalist, an aromatherapist, nutritionists, and chiropractors. I am all about trying as many of the natural ways as possible. They all work really well together. What are some of the success rates for fertility massage? Mine has been running somewhere around 80 percent. I’ve had a number of my students go out and do this. One of my students reported back 10 out of 12. Another one reported 2 out of 3. How long have you been doing fertility massage? I’ve been teaching Nurturing the Mother since 1990. I’ve been a massage therapist since 1979. I consciously conceived my daughter, Jessica Hope, in 1984. So we were using some of those techniques back in 1984. I have other types of clients too. I do pregnancy massage and reflexology, as well. I travel all over the country teaching massage. Pregnancy, fertility, and reflexology are my three specialties. How many of your clients are struggling with infertility versus being already quite fertile? I travel and teach so I don’t keep a large clientele. Right now I am working with 2 or 3 women who have not currently conceived. I have one about to deliver any day. I have one who is pregnant and the others have already delivered. With your clients who have not yet conceived and may be dealing with infertility, is there anything special you do for them? I teach them how to use castor oil packs at home. I may refer them to an acupuncturist so they are getting both things at the same time. A lot of times it is just getting that timing right and making sure they are really open. I had one lady who had been coming for 8 months. We had a talk and I asked her if she really wanted a baby. She was here, there, and everywhere with all kinds of stuff going on. She looked at me and said, absolutely I want a baby. Within a month she was pregnant. She just had come to that place. I have them come once a month and try to get as close to ovulation as they can. I think that is the best time, because we can really open things up and they are really excited about feeling their energy moving when they go home and hopefully conceive. I go for regular massage, myself. And just the other day, there was a substitute masseuse and she asked about massaging my stomach and I thought that sounded bizarre! Maybe it isn’t so bizarre after all! Ha. I didn’t have it done but I might in the future.